Newburyport, Massachusetts: PLAST-CONTROL is introducing to North American processors PRO-SCAN, a new non-contact, non-nuclear scanning gauge system that provides absolute sheet thickness measurement. 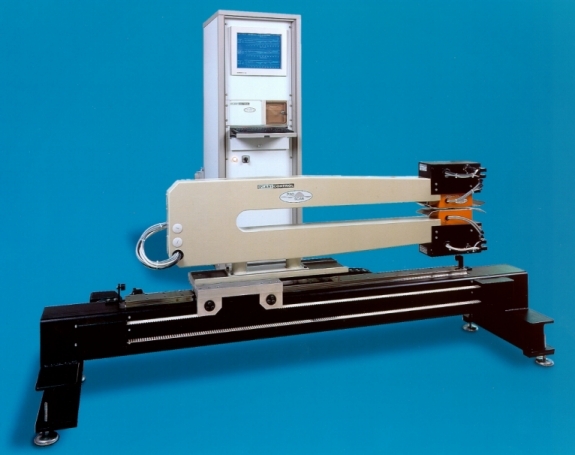 PRO-SCAN employs two traversing measuring sensors, one located on each side of the sheet, to provide an absolute measurement of sheet thickness. The measured movement of each non-nuclear, non-contact sensing head is compared in the system software in real time and the actual sheet thickness is calculated to an accuracy of 1 micron (0.040 mil). PRO-SCAN is additionally equipped with infrared edge detection sensors that provide an absolute measurement of the sheet width. The information is displayed on the scan profile and in the tabular reports. 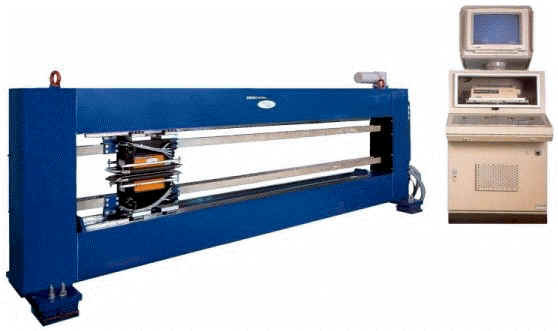 The standard scanning frame provided with PRO-SCAN may be provided with either a rigid O or C-frame type structure for sheet widths between 800 & 1,200 mm (31 & 47), an O-frame type structure is provided for widths between 1,400 & 2,000 mm (47  78). All drive hardware and electronics for the scanning function are included. According to PLAST-CONTROL Sales Manager, Mark Anderson, the new gauge scanning system is a cost-effective alternative to nuclear based and/or contact systems. PRO-SCAN delivers exceptionally accurate information and improves production quality and efficiency. The system is safe, easy to operate and can be easily fitted to existing sheet lines or supplied with new systems, Anderson said. PRO-SCAN includes as standard equipment a process computer with operator interface profile analysis software, graphic and tabular displays, enclosure, color monitor and a printer. PLAST-CONTROL manufactures extrusion process control and management technology in Remscheid, Germany. Systems and components are engineered to enhance production of blown film, sheet, pipe and tubing. PLAST-CONTROL installations have enabled up to 50% improvements in gauge control in blown film processing and significant improvements in product yields per pound of material. In many cases they have increased output as well. All PLAST-CONTROL systems and components can be retrofitted to optimize the performance of most extrusion systems and may be ordered as integral components of new extrusion lines. PLAST-CONTROL technology is unique, patented and available only from PLAST-CONTROL. More than 3000 PLAST-CONTROL systems are successfully in operation throughout the world. Detailed product information is available at the http://www.plastcontrol.com or by contacting Mark Anderson, PLAST-CONTROL, 65 Parker Street Unit 10, Newburyport, MA 01950 (978) 462 0306. Fax (978) 462 1425.